Would you travel across the country to talk to your representatives? 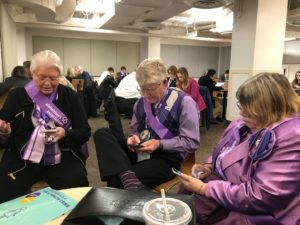 That’s exactly what 60 advocates from Northern California and Northern Nevada did last week, when they participated in the Alzheimer’s Impact Movement (AIM) Advocacy Forum. Over 1,200 volunteers and staff from across the country came together in Washington, D.C. 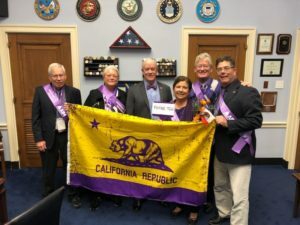 They asked their Senators and Representatives to support funding and legislation that would help those currently living with Alzheimer’s and take steps to increase dementia research. “Having gone through the program and all the links of the Forum website, I thought I had a pretty good understanding about how the experience was going to be. It greatly exceeded my expectations! From the first timer meeting to the late afternoon that we walked away from Capitol Hill, it was one of the greatest experiences of my life. “Having attended countless national and regional meetings for the two largest snack food companies in the world and America in the last 30 years, I’ve been to some impressive gatherings. None of them came close to this week in Washington, D.C. The flow was great. The speakers and panels were all on point both days. They were concise, informative, and added relevance to the program. They shared concern, hope, laughter and tears. “The afternoon of training was helpful. After our afternoon of training, deciding who would say what and practicing, we had a cohesive team. When we were done with our fourth meeting around 4:30 p.m. on Capitol Hill we were a team to be reckoned with. I feel a tight bond with all of the team and look forward to working with them in the future. 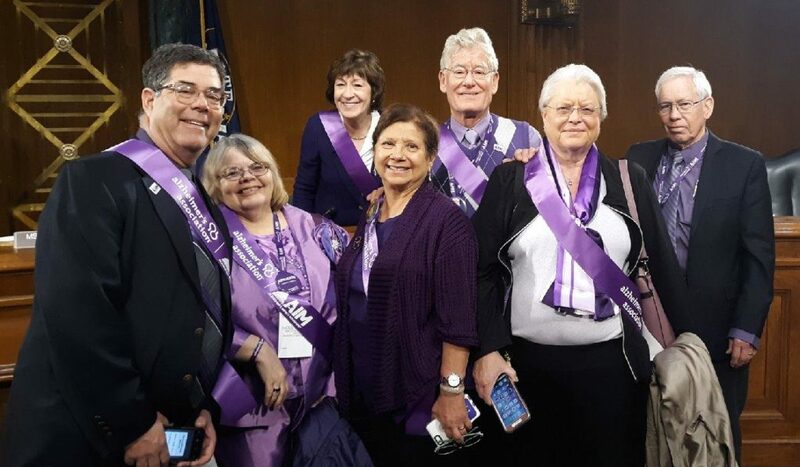 “Sitting In on the Senate Special Committee on Aging was certainly a highlight of the day. I appreciate that we have so much support from Senator Susan Collins and the rest of the people on record. It was an interesting, educational and enlightening event. The photo op with Senator Collins was special as well. 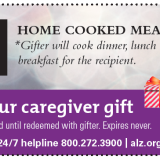 Cathy Anderson-Meyers of Chicago Park, in Nevada County, was a caregiver for her husband, Geno Meyers. Geno died in October 2018. 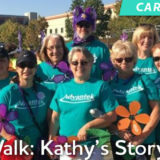 Cathy shared a bit about her first Advocacy Forum experience. 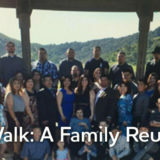 Barbara Redick of Livermore was the primary caregiver for her husband, Chuck. 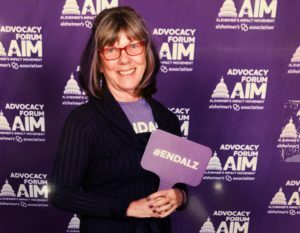 Chuck was diagnosed with Alzheimer’s in 2013 and died from Alzheimer’s in November 2017. She also attended for the first time this year. “The invite and my participation as a first-time participant in this year’s Forum was both worthwhile and rewarding. The experience of sharing my story with others has all the more peaked my interest and enthusiasm in promoting the campaign to raise the awareness of the critical need for funding. 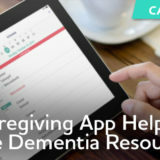 Also, through conversations with others, I am all the more encouraged to help those in my support group utilize the many resources available through the Alzheimer’s Association. 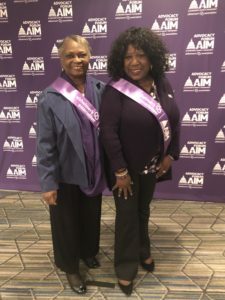 “The highlight of my trip occurred while sitting among the 1200 participants that were gathered as caregivers; those, like myself, who had lost beloved ones; and those who were presently living with Alzheimer’s. 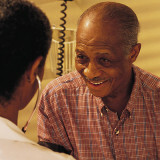 It clearly brought to mind the numerical impact of this disease nationwide. 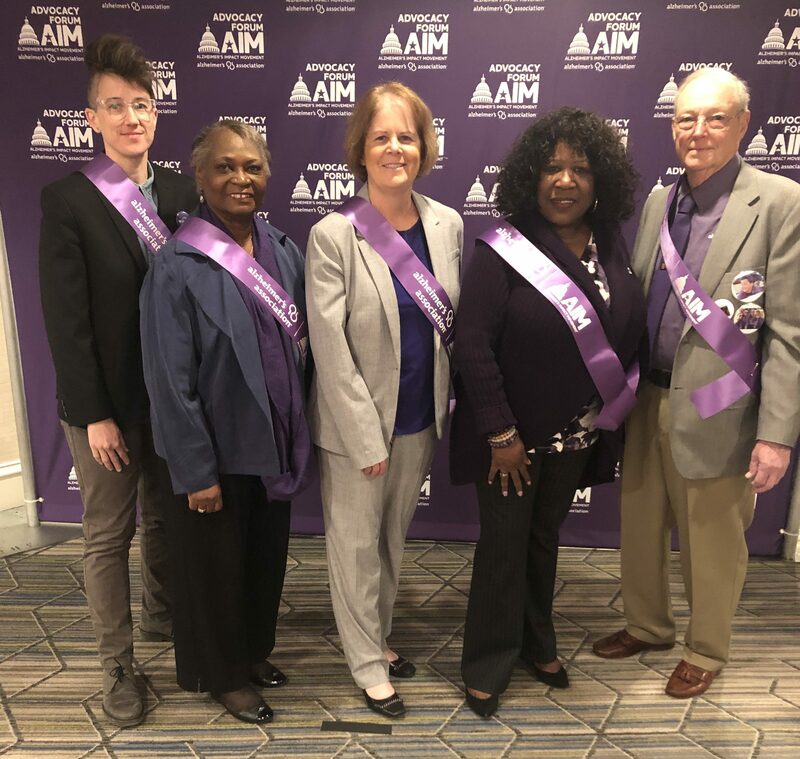 If you’d like to join David and Barbara at next year’s AIM Advocacy Forum save the dates for March 22-24, 2020. Registration will open in January. Visit our website to see more photos, read more inspiring stories and sign up to get notifications about the 2020 Forum. Want to be an advocate in your local community? State and federal advocacy opportunities are available.